The "Right Of Passage". On Randy Valentine's journey of self discovery he made his 1st visit to Ghana. 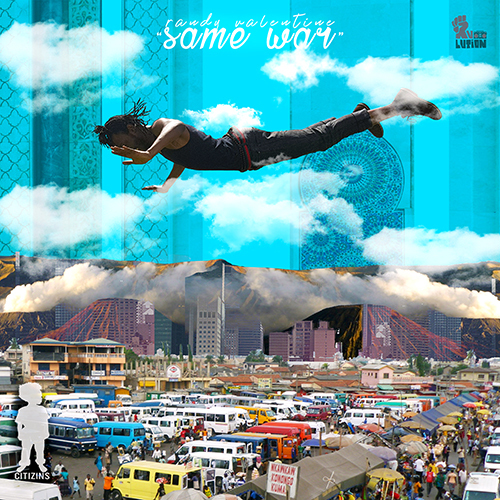 He connected and worked with some Ghana's most talented in videography to create visuals for 'Same War' music video. The project is 100% Ghanaian-made and shot in James Town Accra. Produced in Ghana by JWillz, Lex McCarthy and Team. Musical instrumentation by London production house Stingray Records. Produced in Ghana by Ghanian directors JWillz and Lex McCarthy. "massive respect to Tazz and the brothers from james town, they welcomed me as if I was blood" (Randy Valentine).